On November 4th, Oregonians will vote to elect a Governor for the state. 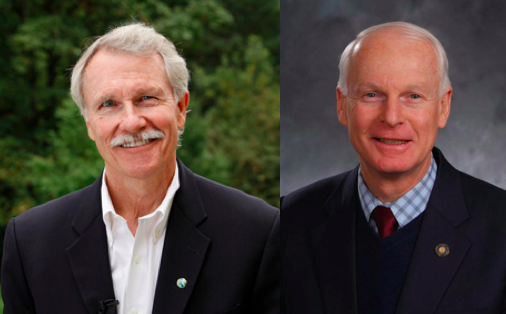 The race features Democrat incumbent John Kitzhaber and Republican Dennis Richardson. Each candidate was given equal opportunity to respond to APANO’s questionnaire, to engage more directly with Oregon’s 220,000 Asian and Pacific Islanders. Their responses to 3 questions crafted by APANO members have been unedited and printed in full. APANO makes no candidate endorsements, this information is solely for the purpose of voter education. Kitzhaber (D): When we created the Oregon Education Investment Board to make proven, strategic investments in our schools, we put in place an equity lens, through which the board would make its decisions. The principles that guide the board recognize that speaking a language other than English is an asset and students previously described as “at risk” represent our best opportunity to improve overall educational outcomes. I appreciate APANO’s work advocating for investments in ELL education. It’s important that we adopt incentives for local school districts to improve graduation rates for English Language Learners. Kitzhaber (D): We are utilizing a health equity lens that guides our health care initiatives, ensuring that policies are evaluated for their impact on specific populations with the goal of achieving health equity. As a doctor, I understand that everyone deserves access to health care, regardless their age, race, income, gender or sexual orientation. That’s why I’ve fought so hard over the last three and a half years to transform our health care system, delivering better outcomes at a lower cost — and expanding coverage to thousands of Oregonians who’ve never had it before. Today 95 percent of Oregonians are covered with health insurance. And we’re making good on our promise to keep health care costs in check and improve quality. Kitzhaber (D): There’s no question that rural Oregon as well as many communities of color have lagged behind in our economic development. But we have made important gains over the past three and half years to improve the lives of working families across Oregon by expanding the earned income tax credit and increasing workforce training opportunities. I believe there’s more we can do to create the right kind of jobs, jobs with benefits. We need to address the way our tax code undermines workers as they climb out of poverty and I am supportive of raising the minimum wage and developing a statewide policy on paid sick leave.